On Monday the boys and I were lucky enough to get some last minute tickets to watch Pinocchio: The boy within, at The Epstein Theatre in Liverpool. As a family we love a good show and try and go as often as we can but we had never been to the Epstein Theatre before and as Billy was working it was just me and the kids, so we decided to make a day of it and explore Liverpool whilst we had the chance. Now true to form I thought I knew where I was going but in fact I didn’t have a clue and had managed to get two theatres mixed up which lead to a bit of a panic and us using google maps whilst walking round in circles in the city center. After we had walked past it for the third time I actually noticed the sign and can’t tell you how relieved I was. So my first top tip is to keep your eyes peeled, The Epstein is smaller than a usual theatre and is situated on the corner of a street and can be easily missed, if you are anything like me that is. The theatre itself is small and has an old theatre type feel to it, although that could be because it was built in 1903 and only has a capacity of 380, which I think is a really plus as it makes the show feel more intimate and I doubt there is a bad seat in the house as all the seats are close to the stage. We had seats on the fourth row from the front pretty much smack bang in the middle, we couldn’t have asked for better seats and we were even offered a booster seat for the tiddler which he used for half of the production but decided he could see just fine without it for the second half. We watched Pinocchio and we really enjoyed it. There was a mixture of what appeared to be very talented and experienced actors along side some less experienced younger ones with a few adorable children who must have been as young as 4 that made your heart melt every time they came on stage. I was a little unsure what to expect from an ameture performance as we are used to watching the pantos at St.Helens with a whole host of professionals and a celebrity or two thrown in for good measure but we really weren’t dissapointed. 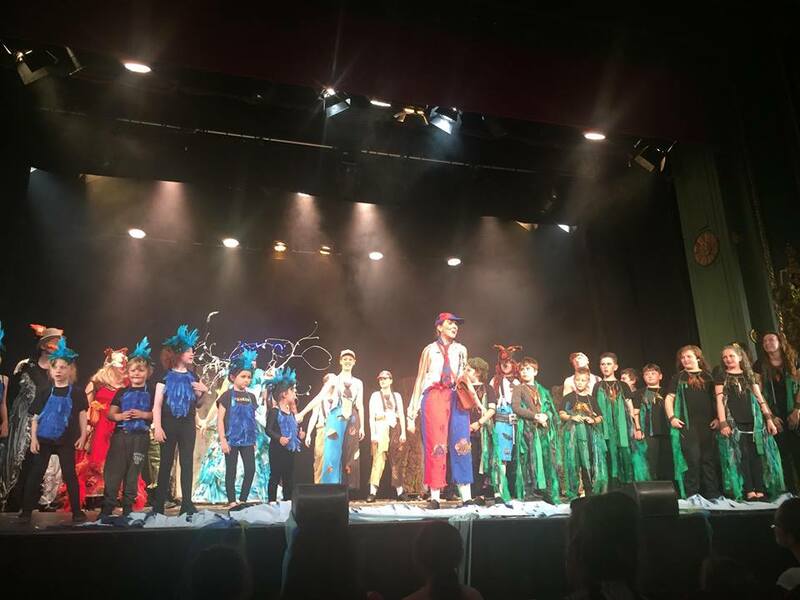 They all performed so well, the script was funny and entertaining for all ages, the costumes were fab and you could tell they had worked really hard on the set and the props too.